Accordion, Acoustic Guitar, Bagpipes, Banjo, Cello, Clarinet, DJ, Dobro, Electronic Music, Fiddle, Flute, Harmonica, Harp, Lead Guitar, Mandolin, Other, Other Percussion, Piano, Steel guitar, Trombone, Trumpet, Ukulele, Upright bass, Violin, Vocalist - Alto, Vocalist - Baritone, Vocalist - Bass, Vocalist - Soprano, Vocalist - Tenor. 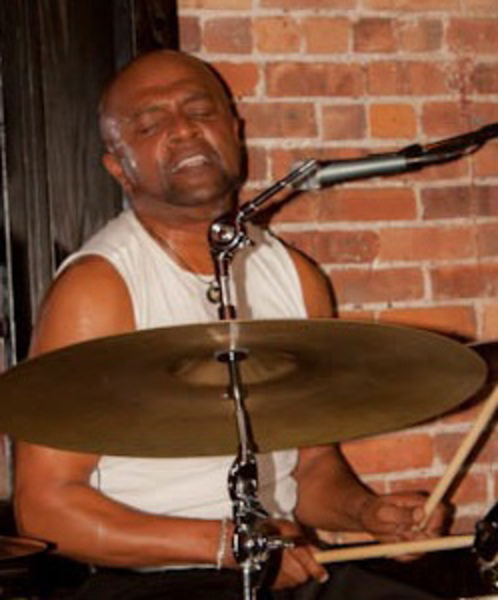 Experienced, professional, drummer that can sing and play. I play Classic Rock, Soul, R&B, Traditional and Contemporary Gospel, Standards, Pop, some jazz and Neo-soul. I'm versatile, flexible and easy to work with. I like to work with other pro's who take our kraft seriously. I pretty much do this for a living and am about moving forward and upward. This is not a hobby for me. Tama Star Classic 6 piece White Crushed Glass set , DW9000 Foot and Hihat pedals, Tama stands, Paiste,Sabian and Zildjian cymbals. Sennheiser drum mikes, Shure SM57 & 58 vocal mikes.